The island of Karishikar was something I first drew in the very early '80's. This particular drawing was done a few years later. The original measures 9 x 12 inches, done in ink, baked-on-crayon and metallic paint on parchment paper. 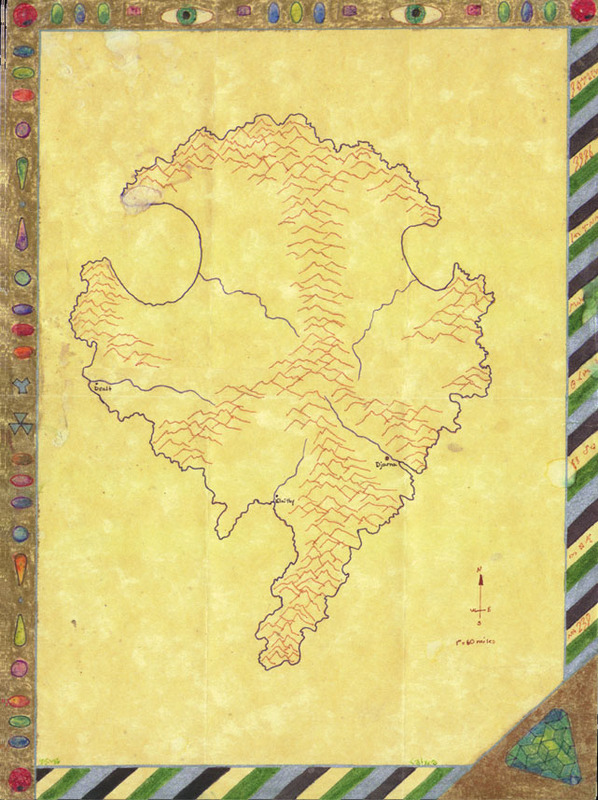 The map has been aged by water droplets and something a bit more unusual -- the blemish on the coastline of the largest round bay was done by banana slugs (no, I'm not making that up).